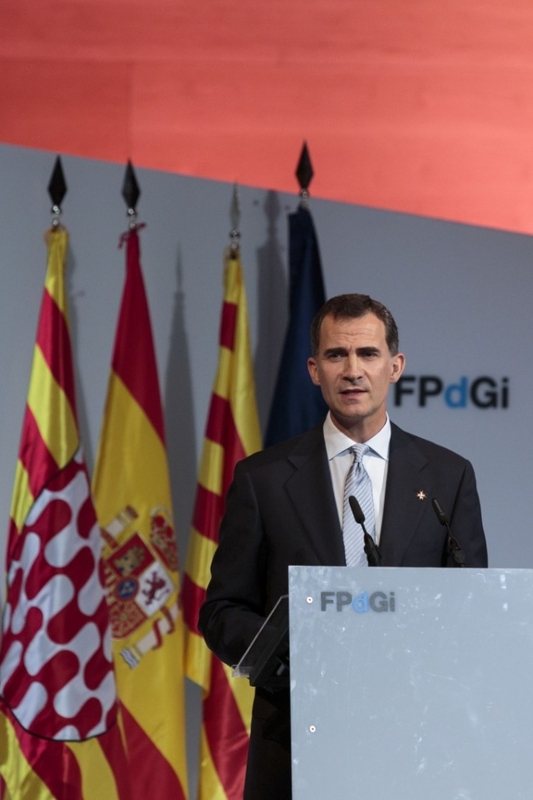 The King and Queen of Spain today presided the Prince of Girona Foundation Awards ceremony for young entrepreneurs, which took place this afternoon at the Girona Conference Centre as part of the fifth IMPULSA Forum and was attended by over 1,200 people. The winners are Hugo Fontela (Arts and Literature), Ignasi Belda (Business), Alberto Enciso and Rui Miguel Dos Santos Benedito (Scientific Research), Mohamed El Amrani (Social) and Valnalón (Organisation). With the aim of fostering activity and effort, the Prince of Girona Foundation Awards promote research and creativity, solidarity and the development of talent in restless young people, in order to build a more just world in a globalised setting. Divided into four individual awards for young people aged between 16 and 35, and an award for organisations, the Prince of Girona Foundation Awards come with an endowment of 10,000 euros and a reproduction of a work by sculptor Juan Muñoz. In his speech, HM the King, after conveying a “message of respect, understanding and coexistence” to Girona and Catalonia, took stock of the first five years since the Prince of Girona Foundation was established. The King stated that this event “is a very appropriate occasion to appraise what things we have accomplished, which in my opinion –and I know I am not very objective- include plenty of very good achievements. From the outset, we firmly and enthusiastically assumed the goal of helping young people of different ages and from different areas to get more involved and to take on a more active role in building future society. We have encouraged their enterprise initiative, creativity, innovation and talent”. HM the King emphasised that “although this work has been carried out by the Foundation, it has also involved people and organisations from all over Spain –many from here, from Girona and Catalonia– who have worked jointly on a project that brings together our strengths and enables us to get to know and appreciate one another better. This project demonstrates that honest, generous collaboration is the best way not only for each person to fulfil his or her legitimate aspirations, but also to achieve great collective goals both for the common good and the public interest”. 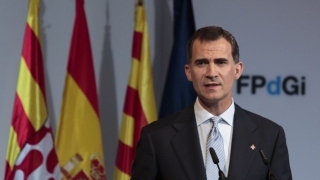 The King reiterated his commitment to the Prince of Girona Foundation and stated: “the results obtained over this time show that we are certainly on the right track. As well as congratulating you –and congratulating all of us– on what has been accomplished and expressing, on behalf of everyone, our shared sense of pride, I wish to pledge the Crown’s continued support –both now and always– to the Prince of Girona Foundation project, with the same intensity, the same dedication and the same esteem”. “Our society and, above all, our young people require references and values, and need drive and hope,” stated HM the King. On behalf of all the winners, Mohamed El Amrani, thanked the Prince of Girona Foundation for “its drive and encouragement for pushing ahead in the firm conviction that the path chosen is the right one, for endeavouring enthusiastically, with a conviction and great motivation that makes everything meaningful”. “From Girona –continued El Amrani– we are sending the world a message not only of hope and optimism, but also of perseverance and critical analysis in order to face all the challenges before us. The future is in our hands, so let us grasp it and build it on the basis of effort and of sacrifice. While doing so, let us seek the strength with which to continue striving to make dreams come true”. Josep Maria Pou, artistic director of the Teatre Goya in Barcelona, opened the ceremony with a speech based on the keywords “youth, talent, creation, risk and entrepreneurship”. From his experience of 46 years as an actor, Pou encouraged young people to devote themselves to what they love, to be creative and to take risks, and stressed that “talent means a relentless struggle for quality and rigour, being courageous, having a clear, free intelligence, and having objectives and imagination”. The actor ended his speech with the message that today, particularly, “however many doors may close, there are many windows opening”. As a prelude to the awards ceremony, there followed a performance by the young group The Gospel Viu Choir, directed by Moisés Sala, who also addressed the young people and explained that “what matters most is not having talent, but what you do with it” because “nothing makes sense unless you share it and create synergies”. The fifth IMPULSA Forum, which has the theme “Open and collaborative”, is focused on initiatives based on combining resources and distributed capacities aimed at generating value both for all those involved in them and for society as a whole. The activities at IMPULSA Forum began this afternoon with the first day of the Open Sessions. These were held prior to the awards ceremony at the Casa de Cultura in Girona and involved different activities in different formats, ranging from talks, coaching sessions and master classes to workshops. Europe’s most active developers of collaborative communities proposed the 18 scheduled sessions. The digital business school Foxize ran a session entitled “Create your online store” or “How to set up your business in the digital age”. Other sessions included a presentation of the Trip4real platform, dedicated to travel experiences; the initiative from Girona RES, which proposes a new system of exchange among stores and their customers; and EtsyBCN, a community of artists, creators, suppliers and collectors, who also presented their work. Over 400 people took part in the different sessions. Parallel to the Open Sessions, the Close Encounters were held for the second time. These enable young participants to interact with speakers and winners from different IMPULSA Forums, and with Trustees and members of the FpdGi Advisory Council. This year, the Close Encounters were held in the different cafes of Plaça de la Indepèndencia in Girona, again with the objective of opening up IMPULSA Forum activities to the city. After the success of the first Close Encounters, the number of meetings for young people increased from the 10 scheduled meetings last year to 25 this year, with the involvement of over 260 young people. James D. Wolfensohn (Australia), former president of the World Bank, who will open the event with a talk entitled “Society at the heart of economic development”. Antonin Léonard (France), creator of OuiShare, a European organisation committed to building a collaborative society, who will speak on “The collaborative generation”. Paul Mockapetris (USA), inventor of Internet identities (Domain Name System) and Andrew Veà (Sant Feliu de Guíxols, Girona), president of the Internet Society in Spain (ISOC-ES) and member of the Advisory Board of the Internet Hall of Fame, will discuss “Open and distributed technology changes the rules of the game”. Elizabeth Marincola (USA), CEO of the Public Library of Science (PLOS), a not-for-profit organisation based in San Francisco established with a view to changing the way we communicate science, who will address the subject “Open knowledge, efficient science”. José Manuel Leceta (Guadalajara, Castilla-La Mancha), director of the European Institute of Innovation and Technology, the basic mission of which is to unleash the innovative potential in Europe, who will give a talk entitled “The human and social factor of innovation”. Josu Jon Imaz (Zumárraga, Gipuzkoa), CEO of Repsol, and Antonella Broglia, consultant for different companies, and organiser of TEDxMadrid, TEDxYouth@Madrid and TEDxMadridSalon, who will discuss the “Challenges of open innovation”. Neal Gorenflo (USA), founder of Shareable, a platform for information, action and connecting people designed with a view to sharing social transformation, who will discuss the subject “The value is in sharing”. Berklee College of Music, the world’s first modern music laboratory, who will give a performance of music that evolves from different traditional genres to the latest trends in the music industry. Jimmy Wales (USA), founder of Wikipedia, who will give the closing talk entitled “The road is open. Explore it and share it”. The day will end with lunch and a networking session. Throughout the day, a series of parallel events will take place, also in the Conference Centre. These will include a press conference, chaired by the agency EFE, at which students aged 10 to 16 from Girona schools will play the part of journalists for a day. In the afternoon, the Prince of Girona Foundation will run the Second Annual Mentoring Talent Meeting, an innovative mentoring project in which managers mentor unemployed young people with higher education qualifications. The Prince of Girona Foundation was founded in 2009 upon the initiative of the Girona Chamber of Commerce, Caixa Girona, the Gala-Salvador Dalí Foundation and “la Caixa”, and has since been joined by over sixty patrons. It believes that supporting young people is the best way to strengthen the capacity of new generations to build a better and more caring society and places special emphasis on young people from disadvantaged backgrounds. 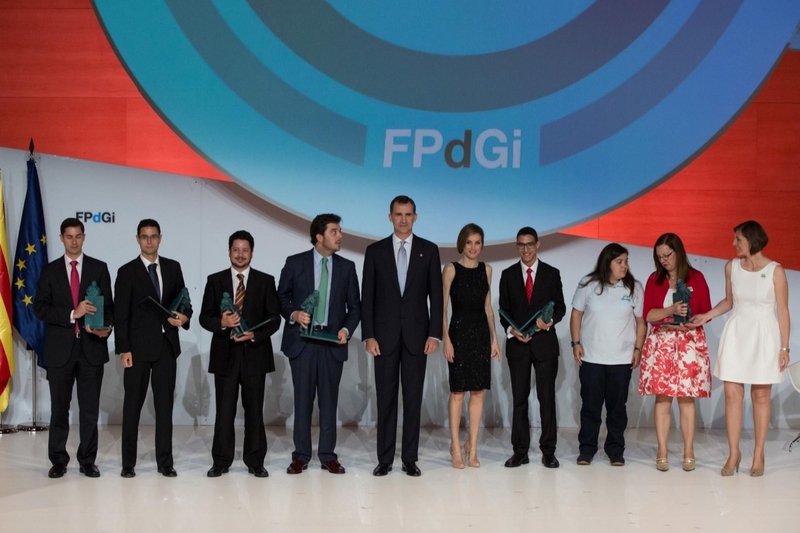 The FPdGi focuses its activity on four main areas: promoting entrepreneurship, the academic success of children, enhancing employability and fostering vocations.